The SSL certificate: what should you do? After having convinced you of the necessity of using an SSL certificate, we will continue to help you find the certificate that suits you best. In our previous articles, we explained that the encryption of the Internet traffic is necessary due to the privacy and confidentiality of the information that is exchanged with your server. We also told you that the basis for this encryption is the SSL (Secure Socket Layer) certificate. There are, however, many different sorts of certificates, which vary in terms of security, scope and price. So, here is an overview of the main factors that will determine your choice. First of all, you should know that the certificate is delivered by a security company. Combell collaborates with the best-known providers, namely Comodo, Symantec and Globalsign. Each of them has a different offer, charge other prices and use different methods. Please refer to our handy overview for further information about this. But why would you not come into direct contact with these Certificate Authorities, instead of purchasing the certificate from an agent such as Combell? Simply because Combell buys large volumes of certificates and therefore benefits from lower prices, allowing you to get discounts. A second factor that plays a determining role is the website for which you want to use SSL. If there is only one domain for which you want to use SSL, you should go for a Standard certificate. It will only be valid for a single domain name, like yourdomain.be, and is obviously the cheapest option. If you want the certificate to be valid for the www hostname as well, you should choose Comodo, which is the only provider that offers this option for free. If, however, you need an SSL certificate for multiple (maximum 2 or 3) domain names (www.yourdomain1.be, www.yourdomain2.be) and/or hostnames (order.yourdomain1.be), you should go for a multi-domain certificate, which is of course more expensive than the Standard certificate. It goes without saying that all these domains must belong to the same organisation that is also the owner of the SSL certificate. And there is yet a third possibility: the Wildcard. This certificate covers the domain itself and all the subdomains (unlimited) that you create (www.yourdomain1.be, order.yourdomain1.be, settings.yourdomain1.be...). Another factor that determines which type of certificate you need is the validation method. There are many options for this too. The simplest form is the Domain Validation: only your domain name is validated. This method is particularly suited to applications for which information needs to be exchanged securely, but for which the identity of the owner of the website is less important. The encryption is also less noticeable, because users do not see the green address bar in their browser. For a higher level of security, there are SSL certificates for which the organisation that applies for the certificate is verified. The certificate then confirms the identity of the owner of the certificate and also reveals it in the SSL certificate so that visitors can verify this information. This validation is ideal for securing public websites, but does not provide the green address bar option either. To conclude, Extended Validation is only given out after an extensive check of the applicant. 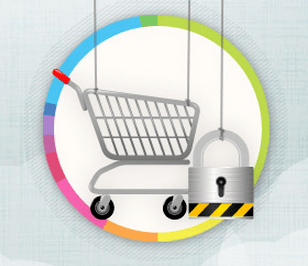 This method is best suited to e-commerce and privacy sensitive websites and applications. Thanks to the fact that EV turns the address bar green, and that a padlock icon shows up at the bottom of the browser, your visitors will see this as the most reliable certificate. In conclusion, there are a few additional factors that can play a determining role in your choice of certificate. There is, for instance, a guarantee provided by the certificate issuer. If abuse is discovered with unlawfully issued SSL certificates, the provider of the certificate guarantees compensation for the damage suffered by end users. The maximum amount for such compensation varies between $10,000 for the simplest certificate (Standard certificate with Domain name Validation) and $1,500,000 for Extended Validation from Symantec and Globalsign for multi-domain certificates. But Combell provides yet another guarantee: for both the Standard and the Multi-Domain name versions of the SSL certificate with extended validation, Combell guarantees you that you will increase the turnover of your web store by 15% within 6 months after the installation of the SSL certificate. Otherwise, you will get your money back! Remember that an SSL certificate requires that the domain for which it is valid has a unique IP address. If you have a shared hosting account, you can purchase this unique address from Combell (service subject to payment). If you only need an SSL certificate and choose to have your domain name and/or website hosted elsewhere, this is not a problem at all: you can purchase the SSL certificates separately. Do you need multiple certificates? Contact our sales department and see if you can get a volume discount. Do you plan to purchase an SSL certificate? Take advantage of our special offer (free setup)! With this information and the handy wizard available on our website, you will quickly find the certificate that best suits your organisation! Power outage or not, Combell keeps your online business running!